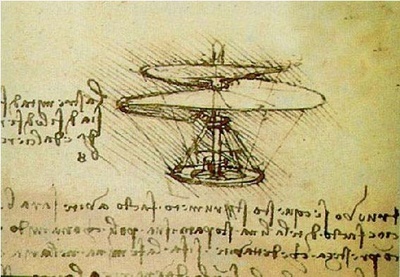 3rd of January 1496, Leonardo da Vinci tried for the first time unsuccessfully unfortunately to fly with one of the flying machines that had become his passion for long time. So that makes a great chance to remember the unbelievable creations of the great man beyond fault symbolisms. 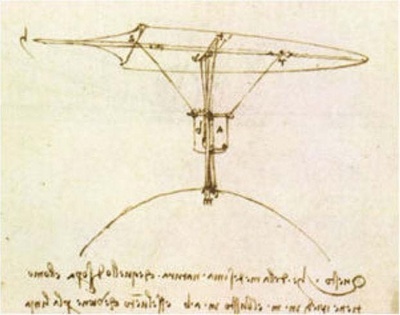 This is the first ever plane design capable of flight and is best known as the ‘Leonardo Da Vinci Glider'. This prototype model is one of the most practically usable of the great inventors' designs. The model design is closely related to what we consider to be a glider today. This design is more functional as an explorative model rather than a feasible working design. This is the first ever helicopter concept. This design uses an aerodynamic screw, which had previously only been applied to a children's toy from Asia. 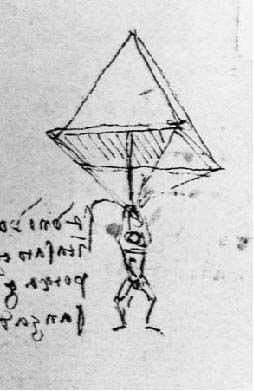 Leonardo could have designed this parachute for the following reasons;for his patron, Leonardo may have created the parachute for a potential Patron as means of escaping a castle when under heavy attack. 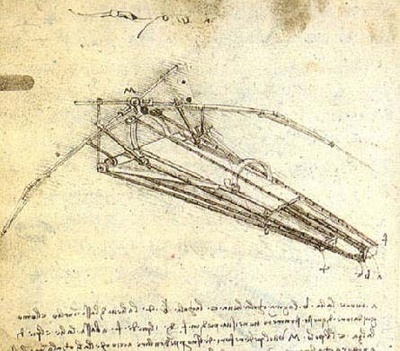 As it's a form of flight, Leonardo's love for flight could have included anything that allowed the feeling for flight, even in an instrument that allowed a gradual drop from a great height. In the Renaissance nobody would have been greatly surprised that the same man who drew those flying machines, and even attempted to fly them, also painted the Mona Lisa. Today, alas, in the age of scientific specialization and cultural Philistinism there is a need to write and debate books such as The Two Cultures.